Desmond Graham was born in Cobham in 1940, growing up near London. He studied English Literature at Leeds University with Wilson Knight and Geoffrey Hill as teachers, and followed Tony Harrison as editor of ‘Poetry and Audience’ from 1960-1961. After graduating he taught briefly at Tübingen University in Germany before taking up a lectureship at the University College of Rhodesia and Nyasaland (present day Zimbabwe). He was made to leave the country for his opposition to racism and became a lecturer at Fourah Bay College, Sierra Leone. From his lectures there, Oxford University Press published ‘An Introduction to Poetry’ in 1968, which became a standard text in African Colleges and Universities. Having discovered Keith Douglas in 1964, he returned to Leeds two years later to embark on research into his work, which led to a lifelong commitment to Douglas. On completion of his doctorate in 1968, he taught modern poetry in Wolfgang Clemen’s English Dept. at Munich University until 1970. While in Munich he was Southern German correspondent for ‘Opera News (New York)’. What was to become a longer association with Mannheim started with a semester in Hermann Fischer’s English Dept. at the University, 1970-1971. In 1971 he took up a lectureship in English Literature at Newcastle University. There, he first completed his major Keith Douglas publications and, in his teaching, laid the groundwork for his First World War critical publications, including ‘The Truth of War’, 1984. From 1976 he was a quarterly reviewer of ‘Recent Poetry’ for ‘Stand’. On returning to Mannheim University as a visiting professor in 1978, he once again gave priority to his own writing. In 1980 Neil Astley selected twelve of his recent poems for the founding publication of Bloodaxe Books, ‘Ten North East Poets’. An invitation to be the first British Council Visiting Fellow at Gdańsk University in Poland in 1984 started a staff exchange to last over twenty years and enabled him to give substance to his longstanding interest in Eastern Europe and its poetry. Meeting the critic Małgorzata Czermińska in Gdańsk in 1984 resulted in a project to co-translate, with Tomasz Krzeszowski, the poems of Anna Kamieńska (published as ‘Two Darknesses’ in 1994). Over the coming years he regularly visited to give readings and workshops in the Universities in Gdańsk, Poznań and Warsaw. 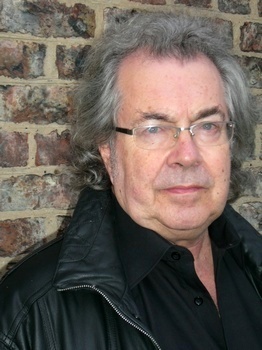 In 1986 he made the first of his reading tours in Germany with the Scottish poet Gordon Meade – tours which, with venues extending to include Luxemburg and Belgium, continue to this day. The first publication of Grahams’ poems in Polish appeared in 1987 in the Gdańsk Daily, ‘Dziennik Bałtycki’: a sequence ‘A Set of signs for Chopin’s Twenty Four Preludes’ translated by Zbigniew Joachimiak. Graham’s poetry and co-translations of poetry appeared widely in magazines, won prizes in the Arvon, National, Cardiff and other poetry competitions, and gained recognition through the course of the eighties. ‘A Set of Signs for Chopin’s Twenty Four Preludes’, was published in Limited Edition, by the Villa Vic Press in 1990. The press prepared the book to go with a concert tour of that year, by Graham and pianist, Viola Heise. A second limited edition was published by the Villa Vic Press in 1990, ‘A Rumtopf for Summer’, to accompany Graham’s increasingly frequent readings in Poland and Germany. From 1990 his ‘Poetry Workshop’ at Newcastle University was one of the first undergraduate creative writing courses to be accepted into the formal curriculum of a British University. In 1990 Graham’s sequence ‘Miron’s dreams’ won the Seren ‘New Poets Competition’, with publication in the four-poet, ‘Seren Poets 2’. In 1993 Seren published Graham’s first full collection, ‘The Lie of Horizons’. In 1994 ‘The Poetry of the Second World War: An International Anthology’ (Chatto and Windus) brought together Graham’s long interests in continental European poetry and in War poetry. Drawing on meetings with poets and academics in many countries over a period of ten years, the anthology was the first to present a world-wide view of the war to readers of poetry in Britain. Seren published his second full collection, ‘The Marching Bands’ in 1996. ‘Not Falling’, a third collection was published by Seren, 1999. In 2000 Graham was made ‘Professor of Poetry’ at Newcastle University. ‘After Shakespeare’, which brought together and extended a set of variously published poems connecting the West End of Newcastle upon Tyne with Shakespearean characters, was published by Flambard, Newcastle, in 2001. Gdańsk University Press published a selection from ‘After Shakespeare’ with the title ‘Cień Makbeta’, in a bi-lingual edition (translated by Olga and Wojciech Kubińscy), Gdańsk, 2002. Graham established ‘The Barry Mac Sweeney Archive’ for Newcastle University, acquired from the poet’s family after Mac Sweeney’s death in 2000: preserving Mac Sweeney’s manuscripts, memorabilia and surviving library. In 2002 Graham created an ‘MA in Writing Poetry’ at Newcastle University: the first in Britain. Flambard published his collection ‘Milena Poems’, 2004; work from over twelve years, following and portraying the growth and development of a child. As ‘Emeritus Professor of Poetry’ since 2005 Graham has worked as a full-time writer, dividing his time between England and southern Germany. In 2006 he gave the Bloodaxe Poetry Lectures, published in 2007 as ‘The Making of Poems and their Meanings’ (Bloodaxe). ‘Heart work’, a new collection, and his first book length sequence was published by Flambard in 2007. Combining personal memoir with a narrative of post-war Europe, ‘Heart work’ was selected as a Recommendation by The Poetry Book Society. On the twentieth anniversary of the Polish round table negotiations of 1989, ‘the symbol of the fundamental transformation which was to encompass Central Europe’, the European Centre for Solidarity in Gdańsk published ‘Gdański szkicownik/A Gdańsk Sketchbook’, a selection of Graham’s ‘Polish Poems 1984-2008’, in a bi-lingual edition, (translated by Olga and Wojciech Kubińscy and others), Gdańsk, 2009. ‘The Green Parakeet’, Graham’s eighth collection, appeared from Flambard in 2009. Its elegiac sequence on his brother Alan (1936-2007) is complemented by a set of ‘Postcards from Germany’. ‘The Scale of Change’, a new Flambard collection in 2011, first gives a substantial ‘condition of England’ sequence, ‘Class’; then a set of poems in tribute to ‘Rembrandt’s Last Pupil’, Aert de Gelder. ‘Unaccompanied’ 2014, a third Villa Vic Special Edition, includes poems by Graham on kindred spirits and writers of importance in his life. ‘Nowe wiersze’, Fundacja Terytoria Książki, Gdańsk, 2014, publishes new poems by Graham in Polish, by various translators, compiled by Olga and Wojciech Kubińscy. The work is from both ‘Unaccompanied’ and ‘Brain Songs’. ‘Brain Songs’ 2016, a fourth Villa Vic Special Edition, offers a sequence of poems drawing on the insights of recent neuroscience. 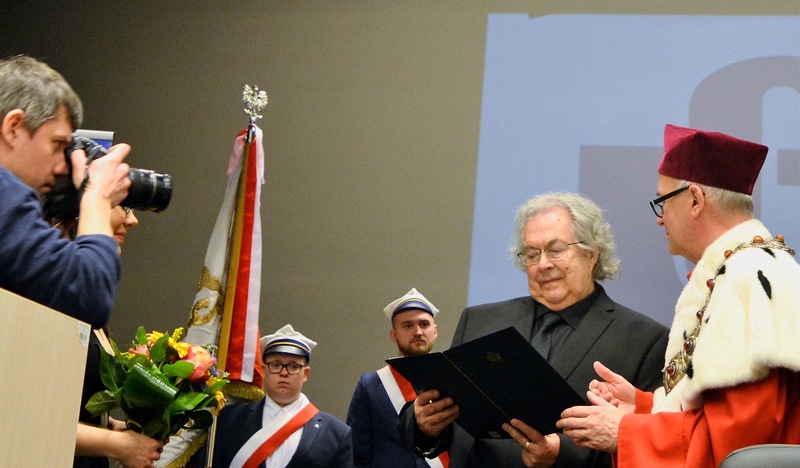 In March 2018 the University of Gdańsk awarded him their Gold Medal in recognition of over thirty years of friendship and literary and academic collaboration.